Some things in life simply cannot be conveyed in words and must be experienced first hand. But once experienced, no explanation is necessary. VR is one of those experiences, and the Playstation VR is convincing even non-gamers and skeptics. “My brother in law was visiting this weekend when I got my VR. Now let me explain that he might honestly be the most frugal person I know, the type that when he had a job in high school instead of spending money he had thousands saved in a bank account. He doesn’t spend $10 without thinking hard about it. “I’ve had VR since rift dk2 and had Vive also, but all that time I felt completely isolated to a bunch of like minded tech geeks. We’d chat about it in dark corners and ‘normal’ people would think we were mad when we tried to decribe it (of course we all saw the granny in a rift vids) but in reality it was far too niche to break out. “My father and I have never really been close. We usually disagree on a lot of things and the things we talk about usually end up in some sort of argument. He also doesn’t like gaming very much and he doesn’t like that I spend a lot of time gaming in my free time. Which, I understand. Gaming isn’t for everyone, I guess. 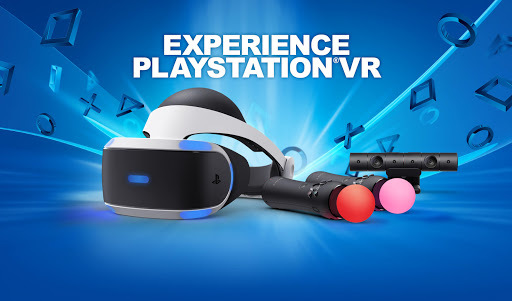 So, last Friday I headed to Gamestop to pick up my very own PSVR! I brought it home and set it up, texted a few friends to come over and we had a blast! My father saw how much fun we were having and he was asking about what it was exactly. Long story short, I somehow convinced him to try it for himself despite him hating gaming in general. It completely blew his mind. it was like something clicked. It was like he all of a sudden figured out why I enjoyed gaming so much. PSVR changed his entire mind about gaming as a whole. Now every time I come home from work he always asks me to set it up for him so he can play some DriveClubVR or Rush of Blood! We sit and talk about our experiences in VR and we overall finally have something fun that we can talk about without arguing! Never in a million years would I have thought that VR of all things would bring my dad and I closer. Unless you’ve tried a desktop VR headset, it’s hard to understand these reactions. But you can see for yourself if you try a demo, available at many Best Buy and Gamestop locations. I got a PSVR as well, and will be posting a review and comparison (with the Oculus Rift, HTC Vive, and Samsung Gear VR) by tomorrow. Are you still on the fence? Here’s more hype from actual Playstation VR users!